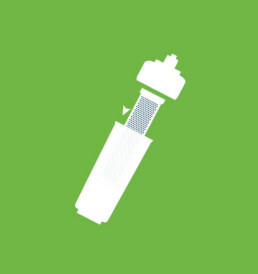 Eco-friendly range of cartridge water filters. The concept behind iX WATER is simple; provide a simple, easy to identify range of ECO-FRIENDLY, quick change water filters at cost-effective prices. 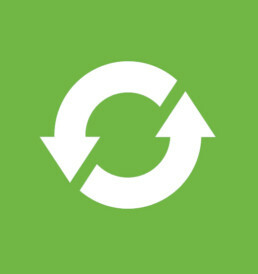 The iX’s unique characteristic is that the internal media insert can be replaced and returned to us for exchange and recycling – instantly and dramatically cutting down operational costs and reducing wasted plastics. 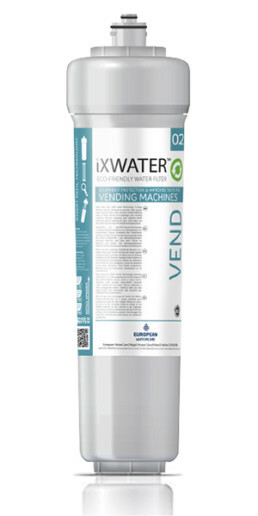 With specifically engineered variants for coffee, ice, drinking water, vending machines, catering applications and postmix, our iX WATER range has a water filter to suit your exact requirements. 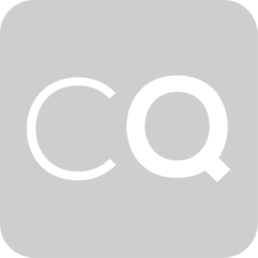 For espresso coffee machines and beverage systems. Removes scale and improves water quality. Improves the taste, colour and odour of drinking water and hot & cold beverages, where scale is not an issue. High volume scale inhibitor for protecting vending machines, water boilers and beverage equipment. 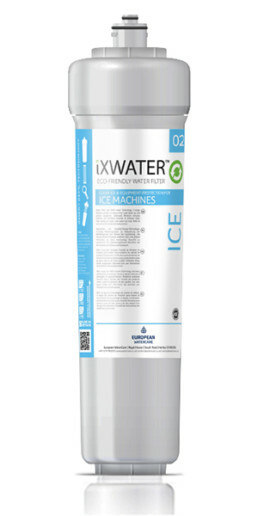 For ice machines, cubers, flakers & dispense systems – bright and clear ice and protect equipment too. 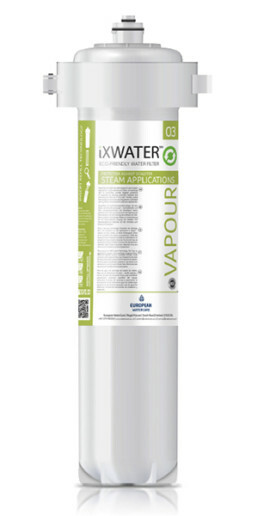 Specially designed for use with steam ovens and other catering equipment that uses steam. 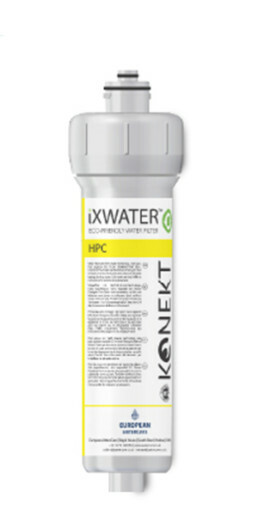 A range of smaller cold water only filters for specific conditions such sediment, lead and pesticide. 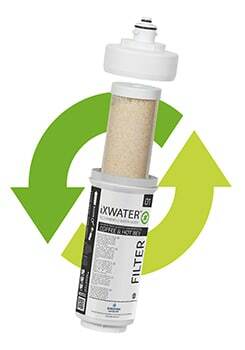 Choose to replace the whole filter or just the insert to save money and reduce waste. Whole filter with head, filter and insert. Filter and insert for quick twist change. 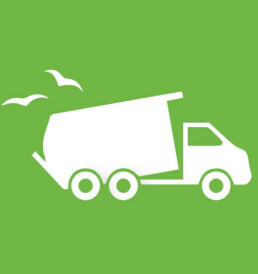 Insert only – The economically & environmental friendly option. Return used filter inserts for recycling using pre-paid packaging.  Pence per litre the iX FILTER is over 60% more cost effective when just the media insert is replaced compared to exchanging a traditional one-way filter. 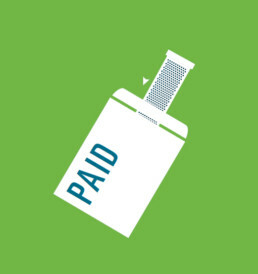 Keep your costs down and reduce plastic waste. The perfect combination. Our Media Insert Technology allows us to recycle all the plastics returned to us. In addition, we regenerate the resin (media) inside our refills and re-use it in our replacements. 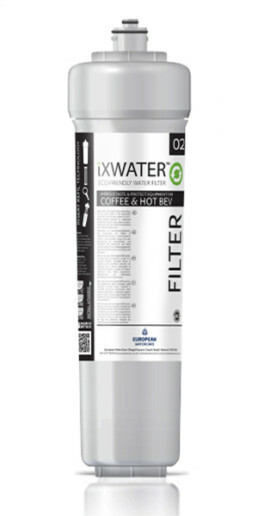 When you order a new iX Filter or a replacement Media Insert Refill, you’ll receive a free recycling kit consisting of a pre-paid envelope, and a sealable, watertight bag. This makes returning your expired cartridges to us as simple as possible and will no doubt comply with your own environmental policies.